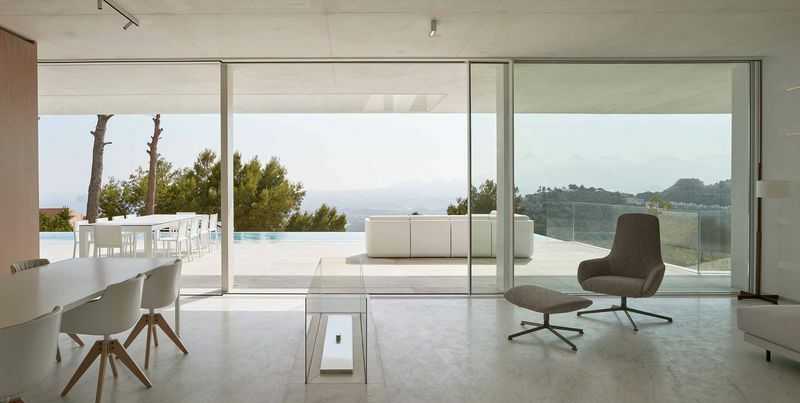 This house in Alicante, Spain, abides by a simple color palette: All white everything. 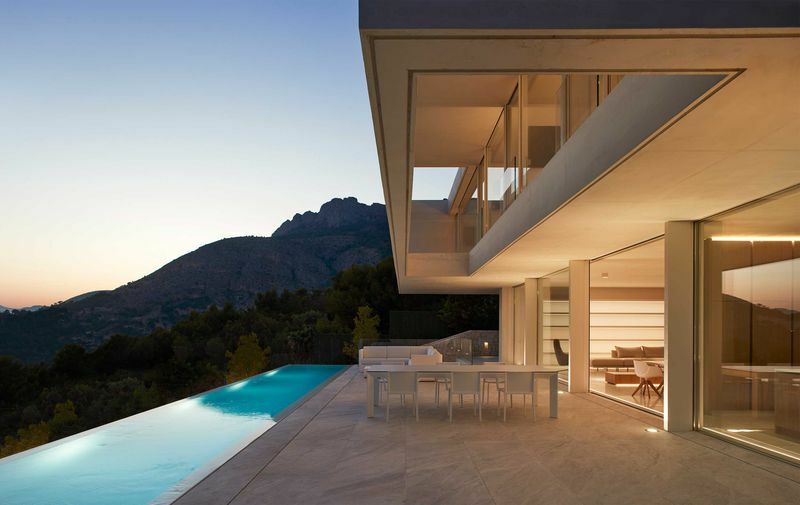 Designed by Spanish architect Ramón Esteve, the Oslo House is a serene coastal abode that’s definitely a “shoes off” kind of house. 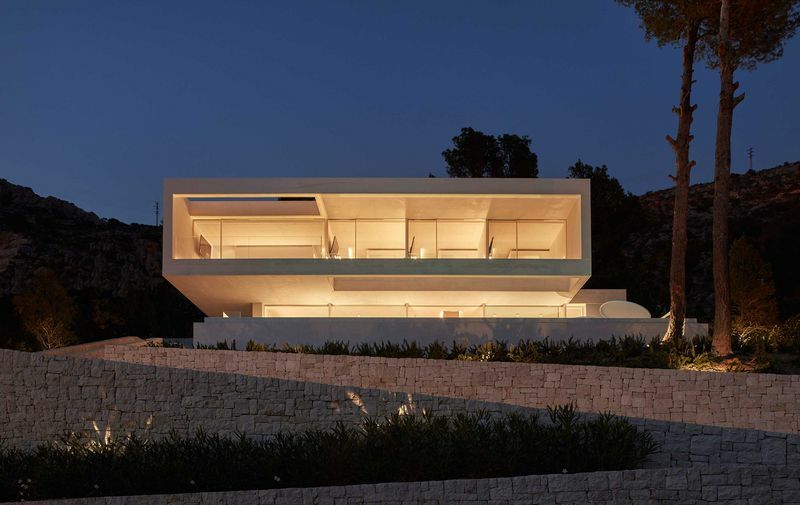 Esteve crafted the residence as two giant concrete boxes that sit atop each other, slightly off-kilter, to create a stacked building block effect. 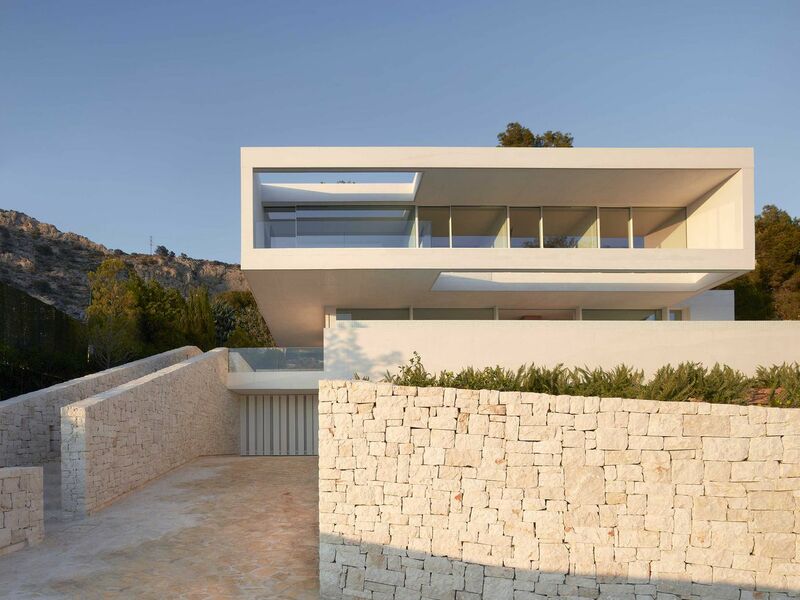 The home’s entrance is at the rear, surrounded by white stone walls that hint at what’s to come inside. 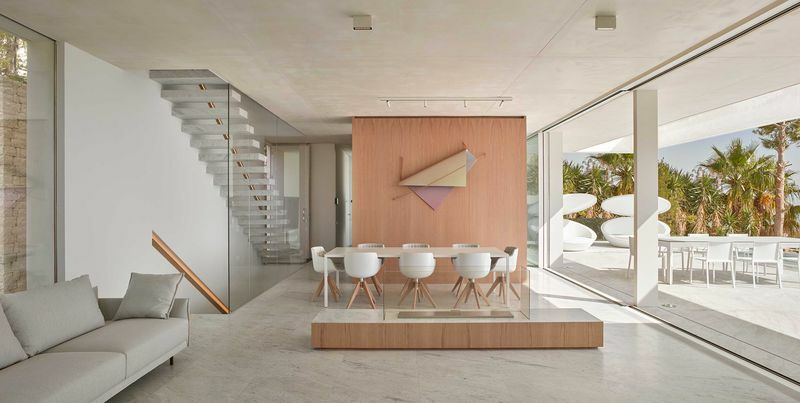 From there, the house expands into an open floor plan—light concrete floors blend with white walls and neutral colored furniture. There’s white marble everywhere, from the floating staircase to the kitchen counters to the floor. The only pop of color comes from the warm, light wood that’s scattered throughout the house. The muted color palette works. After all, it’s merely a backdrop for views of the bright blue ocean that’s just outside the windows.